These unique crystal sculptures are an excellent choice to make any occasion special and personal again with a truly one of a kind crystal gift. 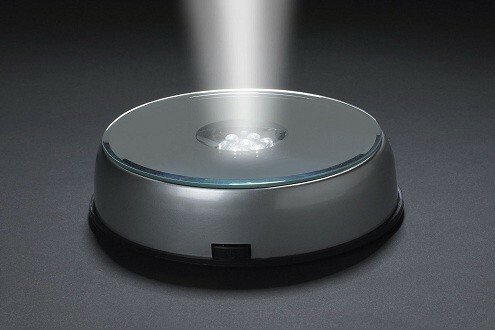 $159.00 with the LED light base. Pay tribute to that special someone who touched your life in ways words could never capture with this Memorial Flat Photo Crystal. Skillfully designed by expert craftsmen, this sleekly styled keepsake is constructed from 100% pure crystal and is available in various sizes (Small, Medium and Large), ensuring it will fit atop any mantle, desktop or bookshelf. 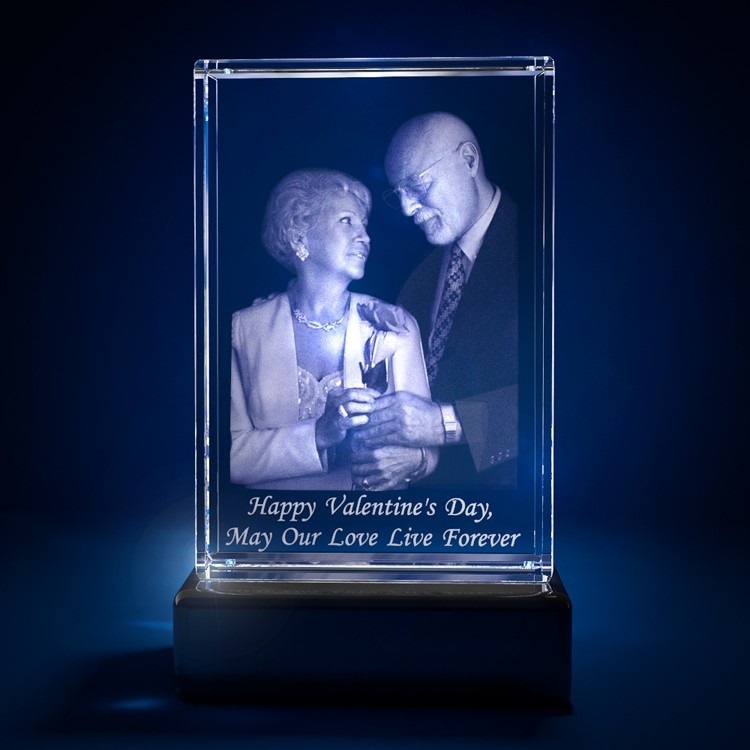 Complete this handsome memento with a striking LED light base, which will make your free personal text message shine ever so bright. 2-D TO 3-D DESIGN Converting your standard 2D photo into a 3D crystal. This process is a wonderfully unique way in which to create awe inspiring gifts and awards. By means of a sophisticated computer software program, your photos can be modeled into a three dimensional design. 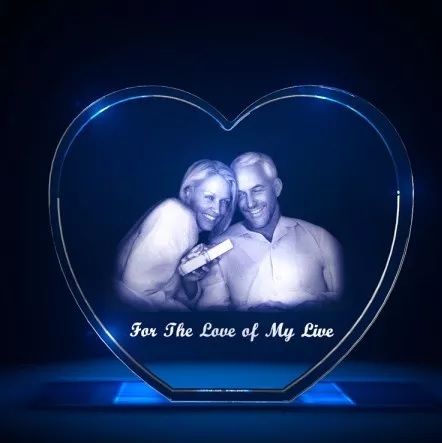 The 3D image is then etched with high quality green laser into a flawless piece of optically clear solid crystal that can last forever. What we need from you is a good quality photo. 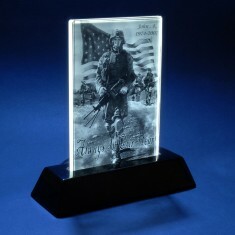 We can then laser your photo into our crystals utilizing the highest quality standards. Make sure when you upload your photo that it is well illuminated, in a high resolution and is not blurred. Your photo may show one, two or up to three people. How do you get your photo in crystal? It's simple, just send us a good picture to the email below and we'll reply with the sizes available and the price options for your piece.